English Language registration standard for Australian Nurses, Midwives, Doctors, Medical Staff and Allied Health professionals is an IELTS overall minimum score of 7 in each of the four components. Language requirements for overseas teachers registration in New Zealand is an overall minimum score of 7 in each of the four components of the academic version of the IELTS test. The minimum accepted IELTS scores as evidence of knowledge of English when registering doctors to work in the UK is a score of at least 7.0 in each of the four areas tested (speaking, listening, reading and writing) and an overall score of at least 7.5. Only 17% test takers for professional registration scored between band 7.0 and 7.5 in 2015. Can you guess what these facts imply? Well, first of all, you can see: the greater the degree of English language proficiency a person has, the more likely that he is ready to be employed in an overseas profession. And second of all, a very few 17 % professional IELTS test takers could ever touch that required band score. You can say, on an average, a staggering 83 percent professional fail to score band 7 in each module. And who knows…. that 83% could be in trouble with their current job. May be, they are dreaming to get out of the rut and work in a country that is offering better payment, security and amenities. No matter what could be the reason, all they want is to improve their living. And the only obstacle stay between them and their dream is a band 7. I don`t know…every year…how many dream just drained away like this…how many father and mother are suffocating with their job for earning bread for their family …for poor scoring in the IELTS test over and over. …but I believe we all have the opportunity to, as I call it, be in the 17% exception. Because, like most caring teachers, I am emotional about my "students." I love it when they succeed. I love it when morning sun (on their way to work) on their shoulders makes them happy. Once I understood how much (how very much) a band 7 score was worth to them, I burn with desire to be a really great teacher! You know. I have been teaching students IELTS for a decade. During this journey I came up with great ideas...ideas that may solve a major problem for them. The good news is, after working for years, I decide to share all these life changing ideas with you. I would like to inform you that after a long research and trying many methods with my students for the last 10 years, I finally got simple IELTS Writing preparation method that really works to get over band 7. I guess, you`ve already subscribed to my blog. Sweetly, I`m going to share these breakthrough information with you in your inbox . If you do not subscribe yet, just click here for signing up. Now, let`s get back into the subject of becoming “a band 7” IELTS candidate. The average global writing band score in Academic IELTS is only 5.5 while this average is 6.0 for all other sections like reading, speaking and listening. People suffer most in the writing section. So, let`s focus on some issues that separate a band 5.5 writing from band 7. A band 5.5 scorer as being a ‘modest user’ has partial command of the language and likely to make many mistakes. On the other hand, an IELTS candidate who achieves a score of 7.0 is described as being a ‘good user’ of English, someone who has operational command of the language, though with occasional inaccuracies, inappropriacies and misunderstandings in some situations. Whereas, with 8.0 in all components; in other words, the candidate should be ‘a very good user’ of English. Shift from Writing Band 5.5 to 7. I did not ask you to become “very good” in English…you can make seldom mistakes …and that`s completely alright for getting a band 7. As you know, IELTS Academic writing test involves with two tasks. In Task 1, test candidates are required to write at least 150 words about data that may be in the form of a graph, table, diagram or map. In IELTS Academic writing Task 2, students are required to write an essay of at least 250 words. And Task 2 carries almost 70% of total scoring…that means people who fail to score high, actually fail to write a task 2 essay. How To Write A Top Notch Essay In A Sea Of Mediocrity? And there ARE some people figuring out the puzzle: what makes their essay so dumb. Someone even ask me question is writing band 9 a myth. Well, fortunately, band 9 answers are not something unfathomable…although it`s a rare to find. I`ll shed more light on this topic later on, not today. For today, the good news is that you can get a band 7 with some specific short term improvements. Spoiler Alert: There is no option for guesswork to point out those specific areas. 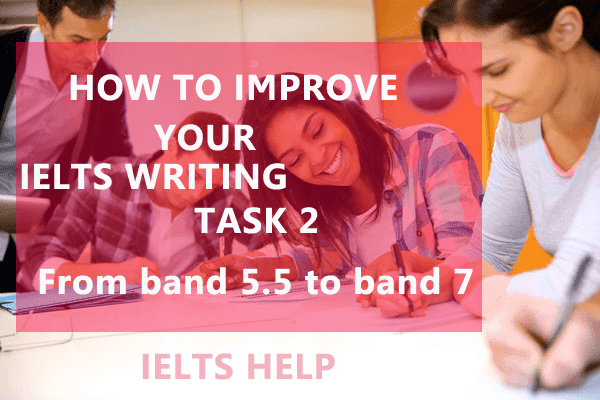 And these are some intriguing things you can do to improve your IELTS essay writing, hence improve your band score up to band 7. Remember the old saying “Your first impression is the last impression”? In case you answer the IELTS writing task -2, your first impression in the introduction or opening of your essay. Your opening paragraph makes an immediate impression on the examiner. When you write it in a wrong way, then you lose that impression and it will last till she read the end of your essay. So, it`s important that your essay beginning should be clear, well constructed and appropriate to give it a band seven look or impression. Now, let`s see how most rookies go wrong here. I am talking about those candidate who often complain about how on earth they could not get (at least) band 7 with those wonderful writings. The truth is: despite their ability to write almost grammatically correct sentence with rich vocabulary, they end up with a band score between 5.0 to 6.0. Now a day, children spend too much time watching television. What are the advantages and disadvantages for children of watching television? You see: What they have done here? They answer the task in the introduction. (And think they`ve done a great job). They couldn`t but wait to start immediately by divulging their point of views. In your opening paragraph, you first task is to introduce the topic for a non-expert reader. In other words, the opening paragraph serves as an orientation for readers of your essay, giving them the perspective they need to understand the detailed information coming in later sections. Now, please remember this: the perfect introduction of an IELTS essay is divided into three parts. In part 1, you need to establish a context to help readers understand how the task topic fits into a wider field of study. In second part, you write a more specific statement about the aspects of the topic. In part 3, you will need to give a clear indication of your general response to the topic. Now we're going to go over these parts piece by piece and I'm going to allow you to see into my mind and what I was thinking as I wrote every part of the introduction. Since television become widely available in the 1950s, it has grown popularity steadily in almost every families of the society. Many people believe that television has a negative impact on children, but like any other medium, it can have a positive and powerful impact as well. In this essay, I intend to give the main arguments behind these conflicting views about watching television. You see. I twist some words and make the earlier task 2 example to an agree/disagree essay. It used to be a direct question asks you to discuss the pros and cons of watching TV for children. In my view, like any other screen-based media, parents should restrict the television access for their children. In this essay, I intend to give the main arguments to support my claim. This is an example of thesis-led approach of essay writing.In this approach you state your opinion very firmly at the beginning of the essay, and make sure that later statements support this opinion. However, there is another type of essay approach you can choose: evidence-led approach . Evidence-Led-Approach: In this approach, you have to outline the arguments before weighing them up by considering all the evidence and work towards reaching your own conclusion. In this essay, in intend to give a brief outline of the main arguments about the effect it can have on children and conclude my final viewpoint at the end. For all of the above reasons, I believe it is incredibly beneficial for parents to restrict the television access for their children. Now, let me tell you something else: You just read this little guideline reveals to you the core secrets to write an IELTS essay introduction more than any other tutorial that exists. If you're at all serious about the IELTS test, you'll probably want to read this several times before you appear the test. I Don't Want You To Get It Perfect; I Just Want You To Get It Right! I think you may know that the sub-scores for 4 aspects of writing contributed to the final band score. For IELTS Writing, these sub-scores include Task Response or Achievement, Coherence and Cohesion, Lexical Resource, and Grammatical Range and Accuracy. So, you can guess that getting better in those key areas guarantee significant improvement of the band score. That was rather boringly predictable, was it not? Rather, you want to know a little something about another exiting information- the information that can make it easy to increase your band score. I am taking about the single aspect in those 4 key areas where world-wide candidate suffer most. If you could find that single area where most candidates score less than you can focus more in that particular area…while giving less attention to other aspects. Let me give you more clarification on this matter. Suppose you are thinking about making improvement in lexical resource section. In that case, you need to expand your word stock or vocabulary. In this process, you need to memorize many difficult words and learn to know how to use them in your writing. Can you guess the shared volume of work involve here? I give you an analogy. Think about the big fat dictionary on your table and imagine how lengthy and difficult task it would be to go through every page of it to learn about every single English word. I hope from this illustration you already get a picture how impossible it could be to improve all areas of your IELTS writing namely, once again, Task Response or Achievement, Coherence and Cohesion, Lexical Resource, and Grammatical Range and Accuracy. How about eliminate 3 aspects and just focus on one key aspects because you know that this is where almost everyone go wrong. For example, if you know that low scores made low band score, most of all, because of making grammatical mistakes then you can focus on just improving your “Grammatical Range and Accuracy” to assure your high band score. Unfortunately nobody will reveal this secret to you. The University of Cambridge ESOL Examinations, the British Council and IDP Education Australia, in short the IELTS SELT Consortium, collaboratively maintain the worldwide IELTS Test. The consortium holds in their archive all scorings data of previous IELTS candidates. This database is so powerful that it can immediately reveal you the few tiny key areas where everyone went wrong during the test. If you able to sneak on these key information, ever, you can make your fortune out of it like I explained you before. But unfortunately, for the sake of confidentiality, they will never left out an explanation of the critical section where candidate made least improvement in Writing that hinders their quest for Band 7.0. Since the consortium do not provide this confidential data to test candidates, but for the purpose of academic research they sometimes disclose the data to individual researcher. And do you want to have a look on those particular researches? If you`re interested then visit this link. But remember, Clutter is the disease of Academic Writing that makes it difficult to understand. That is why finding raw information from an academic report is like finding a needle in the haystack.. But, despite of those problems, I heartily recommend you do read IELTS research papers. It’s not easy; but it’s well worth it. For example, right now, I am reading one of those report and try to figure out something valuable for you. You can read this as well from here. I`ve just discover something that can make your life easy. The report says, among four key areas, the average score was actually lower on the criteria that had to do with answering the question – ‘Task Achievement’-for both Task 1 and Task 2. The report also gives some explanation behind this case. It says most candidate are now aware of a standard essay format of introduction, body and conclusion which brings them higher score in coherence and cohesion. Many candidates are also becoming increasingly careful about choosing right vocabulary and grammar that brings them high score in Lexical Resource and Grammatical Range and Accuracy. But, students are not doing so well in the Task Response part because they do not find the topic of the question familiar or which they had no idea before. For example, a student with business studies background found it difficult to write about a task2 topic on social psychology. At this point, I suspect you are getting bored. No way. Listen, no matter how crazy it sounds, every single fact I'm revealing is related to improve your writing band score. But the question is: did you get my point yet? Do Not Miss Out The Main Points Of The Question. Well, after all, that`s all about what is means by Task Achievement. For instance, suppose the question ask you to write about effects of TV on children. But, when your answer is focusing the effect of watching too much television on adults then you are moving away from the key point of the question…how can you expect a high band score? You may also struggle with answering questions on a less familiar topic. Even you may have a hard time answering the brain storming questions. It may happen as you already know not having enough ideas to complete the essay is normally top of the list for most candidates. One way to overcome this problem is to find a list of the most frequent essay topics that appear past in writing task 2 and practice developing ideas around them. And, since I'm not inclined to give you much trouble... well... maybe I'd better give you the list right now. Listen up: Technology, Health, Education and the Environment are the most common topics that are featured regularly in the IELTS test. Technology: The internet has a bigger impact on people’s lives because it is more popular than television. Do you agree or disagree? Use specific reasons and examples to support you position. Health: Today more people are overweight than ever before. What in your opinion are the primary causes of this? What measures can be taken to overcome this epidemic? Education: Online education is becoming more and more popular. Some people claim that e-learning has so many benefits that it will replace face-to-face education soon. Others say that traditional education is irreplaceable. Discuss both views and give your opinion. Environment: Water pollution has been an increasing problem over the last few decades. What causes water pollution? How can we prevent this problem? You've got the list, now go for some brainstorming sessions with your friends and built some vocabulary around them. . But right now, let's get to a few more interesting things which I have not discussed yet. Before we go there, just for your eye relief,. please check out this info graphic focusing key points of this tutorial about improving IELTS writing task 2 response. I would not dishonor you by reminding you that the basic building block of an essay is: Introduction, Body and Conclusion. Because, after all, who does not know that an essay has these 3 types of paragraph. When you are writing your essay, you use to introduce the essay topic in introduction section and summarize the whole discussion in conclusion part. But, have you ever wonder what would be the obligation of your body paragraphs? Well, in fact, in your essay, you are actually developing your point of view (thesis) through each body paragraph you write. I can tell you more about body paragraph later on. How a band 7 body paragraph would look like. Some say that public health is important and there should be more sports facilities. Others say that they have small impact on individuals. Increasing the number of sports facilities in the local community can help people to build a regular exercise habit, thereby improving their health condition. For instance, there is no doubt that taking regular physical exercise in gymnasium or playing soccer in local playground reduces the incidence of obesity and heart diseases to some extent. But, many people would disagree with the idea that everyone would benefit from it. This is because weak and sick people of the society are reluctant to go out and use these facilities. Despite the fact that providing more sports arenas is often criticized does not necessarily mean that all of it is bad. This means that the vast majorities of people do benefit from utilizing sports facilities and keep their fitness. That piece of writing, more than any other writing you are likely to read, vividly illustrates one of the most important things you MUST do if you want to write a top scoring body paragraph. Can you guess what that thing is? Do you think you know the answer? If so, you`re a top-notch genius. Don't worry if you don't get it right. Try one more time. Now, would you like for me to explain the secret? Ok, then, I'll tell you all about the secret this particular example so brilliantly demonstrates. I just need you to be a little patient. You see, in the meantime, I would like to share with you, a debate of prestigious Oxford Union Society that I stumbled upon several years ago. In this video what I enjoyed most is that the contestant deliberately quoted and disproved the opposition claims in a row. Well, I can say you that`s the real art of a debate- state the opposition`s claims and next prove it false. Remember, you can state your point view, no matter how may times...support it with strong reasoning and examples..after all those of your attempts, people may deny it by asking you question like “what if…..”. So, the best idea is to tell the counter point of view by yourself before critics raise them and respond it in your own way. This single piece of act will weaken opposing viewpoints and strengthen your own. It is true in debate and so it is true in academic essay. Try this act of refutation in your task-2 essay. Your IELTS examiner would love to see this. And..
That`s where low scorer makes A Big Mistake. What they do is state their own point of view by not including any counter point of views. Anyway, come back to the body paragraph example. Remember... what I said we are looking for a "top scoring element" here…the “stand out” reason that makes it identical from a low scoring essay. Well, the stand out feature in this particular paragraph is very much the same to the stand out feature which made the Oxford Union debate marvelous. For example, when I described-increasing sports facilities could be beneficial to public health, I did mention that not all people would be benefited from it which was the opposite argument. Next I refute this by saying it would not help every people but sport facilities would certainly serve a big portion of the society. You know, I've often regret about giving out valuable advice like this when few will follow. In other words, if you use this advice in your writing you can move up your band score. I show you exactly how to write a high band introduction and body paragraph. Now, let’s zoom into the last part of your essay- the IELTS writing task 2 conclusion. For your kind information, candidates generally make two types of mistakes here that kept them away from a 7 plus band score. You see: While you write an IELTS essay, you generally put across your views in each body paragraph. For example, in a "to what extent' type question, the key points you explain in your body paragraph indicate how much you agree or disagree with the topic. And that`s a good thing. Oh! I didn`t write this point yet but it was the most important point I wanted to discuss. This is exactly where they made the first mistake. They immediately write down that new idea in concluding paragraph. You may wonder what`s wrong with this. You must understand that writing an essay is an act of persuasion. We see the act of persuasion everyday in our life. The child is giving different reasons why she is craving for an ice-cream so that her father can buy her one. Believe it or not, you are doing the same thing in your IELTS essay. "I am going to discuss in this essay the reason behind traffic congestion in big cities." "Firstly, individual car ownership associated with externalities such as traffic congestions. For example, in recent years, many cities are suffering from 'one big traffic` jam in peak hours for booming private car ownership." (Here you are perusing your reader why you think booming private car ownership is one of the big reasons behind traffic congestion-- This is your first persuasion). "Secondly, on-street parking is a significant cause of traffic congestion. For instance, illegal on-street parking habit in front of shopping centers narrow the street that lead to vehicles traffic congestion in the city "
(Here you are perusing your reader why you think on-street parking is one of the big reasons behind traffic congestion-- This is your second persuasion). You see. The truth about any essay writing is that you are actually persuading the examiner that you are answering the question and you are doing it right. In order to do this, you introduce your every single point of view in each body paragraph and thereby explain it further to make you claim stronger. Remember this point where I said: You need to explain your every single point view with examples and further explanation. "Overall, traffic is mainly caused by unauthorized car parking and growing people’s reliance on their own cars. On the other hand, faulty traffic signaling systems along with the efficiency of traffic police can make this situation even worse. It is to be expected that govt. implement appropriate measures to tackle these issues to reduce traffic on the street." Can you spot anything wrong in this conclusion? I bet you can. You do! You just made my day. After all, at last, someone can catch of the most important concept of writing conclusion that I am trying to reveal here. In case you are still confused about the big mistake in this concluding paragraph, let me give you some supportive information. You see: There is a link between the introductory and concluding paragraph. While the introduction rephrases the question, the conclusion contains the answer. The perfect IELTS writing task 2 conclusions looks back at what has been said and makes some comments about future prospects about the main issue. Having said that the examiner may look at the conclusion first to get a quick idea of the main arguments or points of your essay. Enough of that information. Now, in your judgment, what I missed most in the above ending paragraph. Well, I have summarized the main point by saying that-- Overall, traffic is mainly caused by unauthorized car parking and growing people’s reliance on their own cars. I also made some comment about future implication of the issue like where I said -- It is to be expected that govt. implement appropriate measures to tackle these issues to reduce traffic on the street. However, even though I provide those invaluable must do things, you know what else I did? You see, you can't just say,.” On the other hand, faulty traffic signaling systems along with the efficiency of traffic police can make this situation even worse.” Because, it demands some further explanation which I ignore. But, ever if I didn`t write any explanation, can I did that in concluding paragraph? The answer is no. As because, introducing a point of view and explaining it is the characteristics of body paragraph-not concluding paragraph. But wait. That's the good news. You still have a chance to talk about your new idea but remember to put this in a different body paragraph –not in conclusion. I can assure you that students who have less than an IELTS of 7.0 seldom make mistakes like this. In a nutshell, finding the crucial element of every essay paragraph is what separates mediocre candidate and great ones. Anyway, that's it for now. I write this staggering 5000-word practical guide about how to improve IELTS writing task-2- becasue I wanted to make sure you understand my points - and feel what I say. Buy the way, you'll be hearing from me again soon. Thank u so much for e-mailing me this. It's longer than I thought, i started reading it today and hope that it will help improve my writing band score. My first impression about this is that it's really well organized and u wrote in details!. I see no comment here right now but i'm sure that so many other people are reading this, which means u r helping so many IELTS takers. Once again, thank u for your enthusiasm! BP 3- In some cases, the matter I disagree which can be appropriate. This para I start with However and then in the final sentence I state that 'this is rare of not frequently happened' something like that. Conclusion: rewrite intro by paraphrasing and opinion. Would you please tell me that is it okay for band 7l? My exam date is 26th April. As you said I am also solving Cambridge books for writing 2. Sorry I made a typo It will be 7 instead of 71. Wow, Thanks for sharing your amazing tips with us. I really found them very useful. I am also preparing for IELTS exam, and I definitely going to follow your tips. Keep sharing like this. 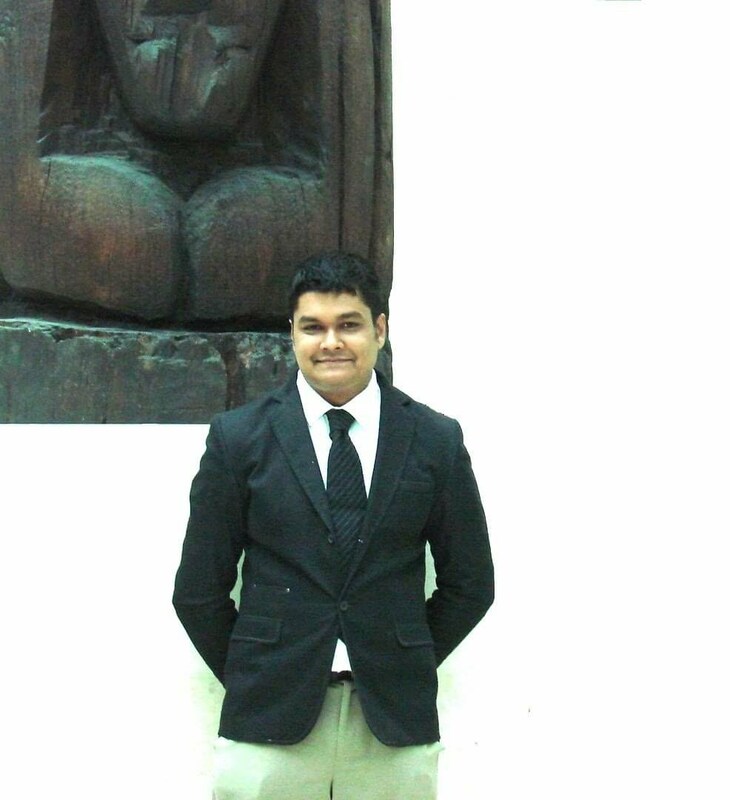 Hi everyone, I found this amazing article, that can help you to enhance your IELTS score. Actually here is some tips that you can use while IELTS Preparation.